The Jeju Horse Eco Program is a travel experience that gives you the chance to directly feel the magical beauty of Jeju’s Gotjawal forests and volcanic oreums. 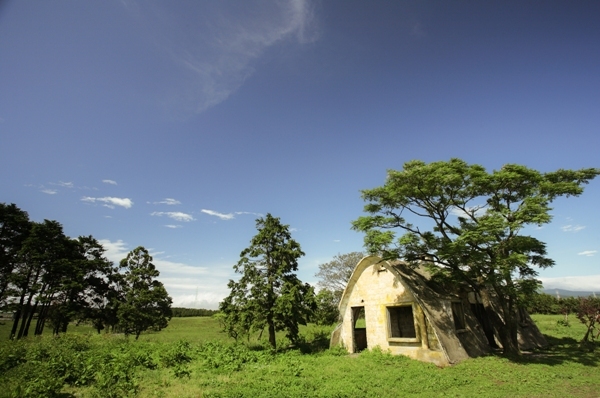 It allows participants to view Jeju’s nature as it is supposed to be viewed and in an environmentally friendly way. This travel program is offered by the Moongchee Mice tour group. 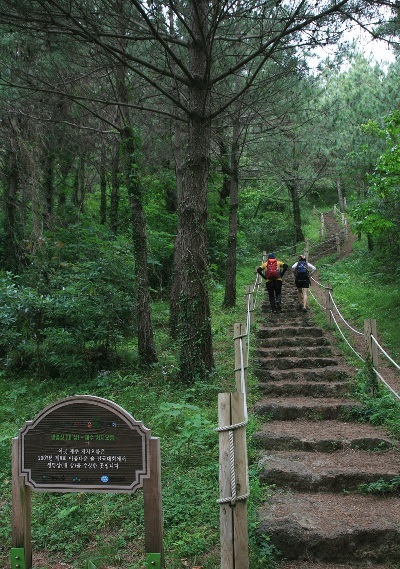 Jeoji oreum is an excellent hike to see the wilder side of Jeju. Rising 104 meters above Jeoji village in southwestern Jeju, to a height of 239 meters above sea level, the oreum is unique in that it is covered in rich forest. In 2007 Jeoji oreum won the grand prize in the Korean Beautiful Forest competition and a visit to the crater will show visitors why. While many of Jeju’s oreum have planted trees and lots of open grassy spaces, this one has a denser and wilder forest with a wide variety of trees and plants. Songaksan is one of many oreum, or secondary volcanic cones, around the island, and this one is famed for its clues to the geological formation of Jeju. Songaksan is rare in having a double crater and the area around has Japanese airfields used during World War Two. The nearby Mt. Sanbangsan, Yongmeori Coast and Mt. Dansan make for a stunning view of sea and landscape. 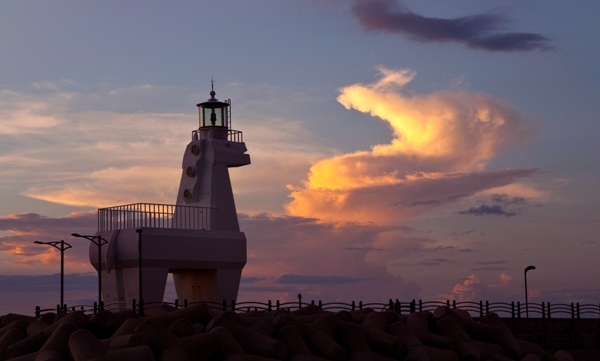 Iho horse-shaped lighthouse is located near Iho Tewoo beach. It is well known for its unique shape representing the Jeju horse. The lighthouse, which measures 12 meters high and four meters wide, is unmanned and there is no public access. Travelling to Seogwipo from Jeju on route 516, horse pastures can be seen halfway up Mt. Halla. Beautiful oreums and green pastures fill the landscape and watching Jeju horses playing on the field will offer a unique impression only Jeju can provide. 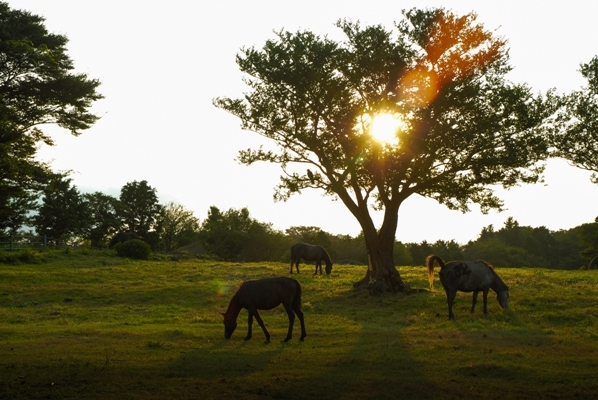 Jeju’s horse pastures have been designated a natural monument (No.347) since 1986. These tame, mild-mannered small horses have a natural resistance to Jeju’s cold winters. This racehorse farm was established by the Korean Horse Affairs Association and is situated in more than 2 million square meters on land in Jocheon-eup. Let’s Run Farm includes both meadows and medical facilities to breed horses. It is divided into three sites used for horse breeding, raising and playing. 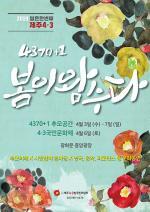 St. Isidore farm is a large farm run by an Irish priest who came to Jeju more than sixty years ago. The farm covers more than 1.6 million square meters of grassland on the western side of Jeju for cattle and horses to graze. St Isidore Farm has become the number one site on Jeju for dairy production. Mt. 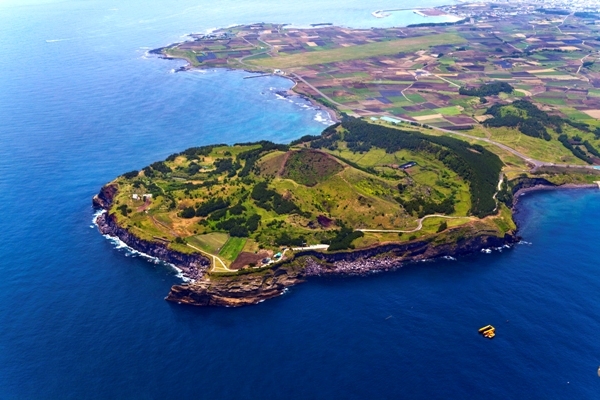 Sanbangsan is the bell-shaped outcrop visible all across the plains of southwest Jeju and from the mid-mountain region. Rising to 150m above sea level, it dominates the area and boasts Sanbangsangul Cave on its south side, looking down on Yongmeori Haean, or Dragon’s Head Coast, a Geopark site. One of Jeju’s Geopark sites, Yongmeori means Dragon’s Head Coast as it resembles a dragon raising its head as it enters the sea. Walking along the coast there is also a monument to Hendrick Hamel to honor the Dutchman shipwrecked here. Hamel went on to publish a famous journal about his predicament. For more details of this tour visit the Moongchee website at www.moongchee.com or by clicking here.